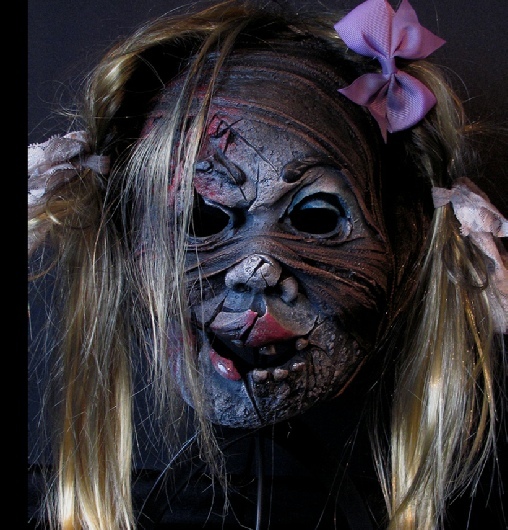 A high quality, scary, evil doll latex Halloween horror mask. 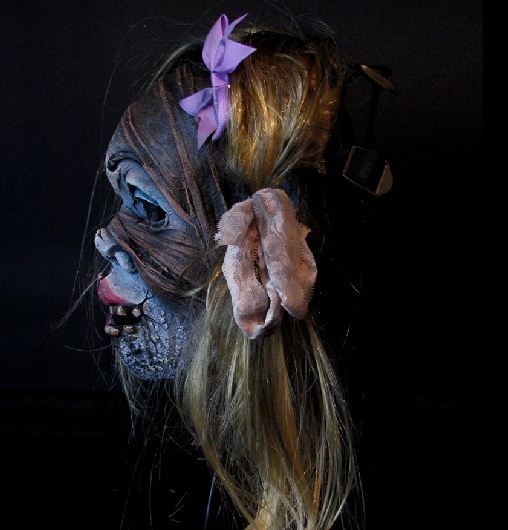 Distressed, aged paintwork, long synthetic pigtails, adjustable straps and buckles with a metal o-ring. 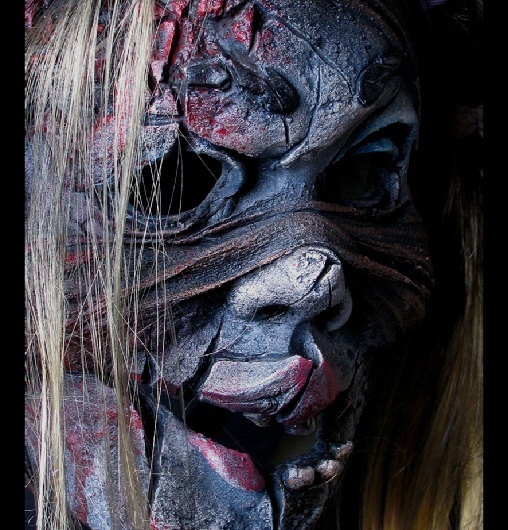 A truly disturbing and terrifying mask when worn! The bow colour will vary.